What is the meaning of Hub and spoke trading? A Hub and spoke forex trading structure can be defined as an investment structure that consists of various investment vehicles, which pool all their security assets together in order to contribute to one major investment vehicle. Each of the various investment vehicles is still individually managed, while contributing to the one major investment vehicle. The various individual smaller investment vehicles form the "spokes" and the main investment vehicle forms the "hub". Another name for the Hub and spoke forex trading structure is the master-feeder structure. The hub and spoke structure can be utilized to provide economies of scale to their respective investment vehicles, which can further assist in bottom-line returns for investors. Implementing the hub and spoke structure can yield substantial benefits to managers of investment vehicles or similar investment funds. This structure is enforced in the Forex trade market, where different countries trade Forex within an arranged “hub”. The greatest benefit of the master feeder structure is the tax savings that accompanies this structure. This tax benefit can be explained by means of the following example: If you invest your assets in off-shore taxable investment trading companies, you will have tax liabilities. These offshore investments (the spokes) are classified as passive foreign investment companies. The hub and spoke structure is used in multi counterparty structures. Each participant (spoke) in the network (hub) will trade with bids and offers, creating a concrete market place for investment. Excellent trade transparency - The FX trading hub and spoke structure allows forex participants to see other bids and offers in the whole hub. Some “spoke” parties might suffer, when participants decide to trade on only one side of the hub. This will occur when damaging news will upset the forex market, triggering forex traders to sell a particular currency. If there is an unwillingness to buy, that currency will decrease until a forex buyer steps in. Hub and Spoke trading is identical to the trading process used on NASDAQ. Multiple Forex market makers will post bids and offers. The mechanisms of foreign exchange hub and spoke trading will give traders a constant insight on the whole market available on a daily basis. Advances in the online forex trading market have also impacted the spread of Hub and spoke forex trading philosophy. Spoke partners can now easily view updated financial information regarding to the hub a as whole. 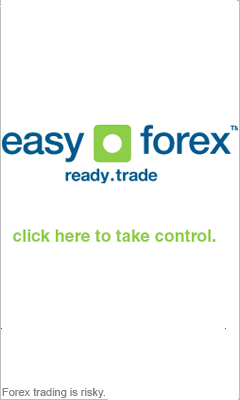 Foreign exchange platforms utilizing FX trading hub and spoke can be found in platforms such as Fxall, Currenex and State Streets FX Connect.